As was mentioned in the Biography page, Giuseppe Adamo wrote this march in honor of the American presidency -- his new country. He received a diploma for "Marcia- Il Presidente" as well as a gold medal from the Italian Government which sponsored music competitions (Concorso Musicale). 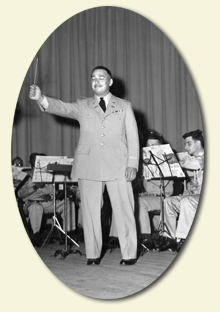 This 1955 recording, which has been digitally enhanced to make it more audible for this web site, was recorded on June 6, 1955 by Giuseppe's son, Major Nicola Adamo* (then Sgt. Adamo) conducting, what he termed -- "a cross-section of the finest musicians in the U.S. military." 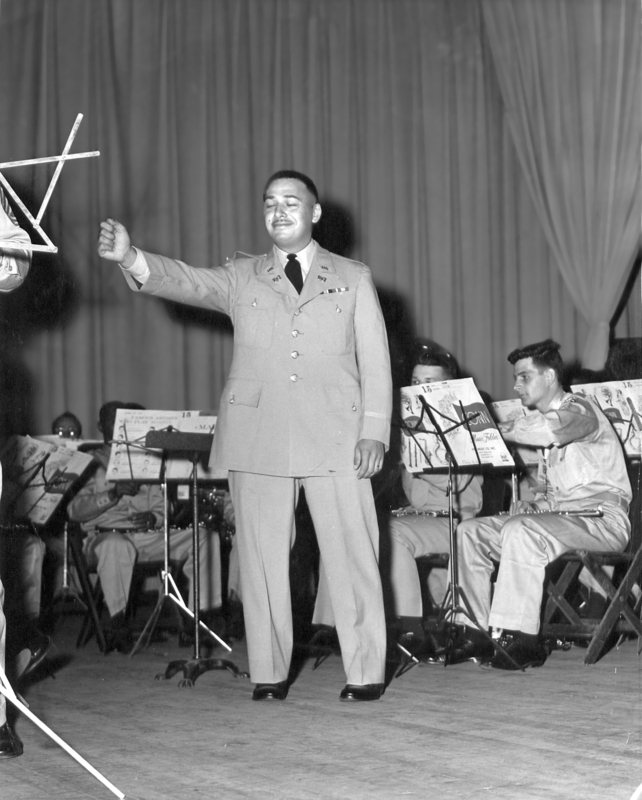 The record's label states that it was recorded at the U.S. Navy School of Music in Washington D.C., by the Navy Band.